Lot 48 D/R Poster 1933 LNER "Yorkshire Coast - Line Fish", by Frank Mason. 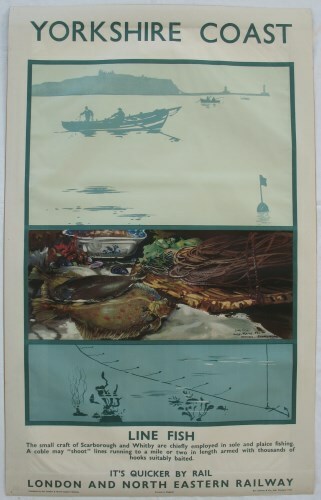 Harvesting of Sole and Plaice using Yorkshire Cobles, from the Inshore Fishing Series of posters. Very good condition, has had the edges strengthened using gummed framers tape on the rear.